In February 2018 Resolute Support pushed out some news releases and videos describing an increase in air strikes against insurgents in Badakhshan province in northeast Afghanistan. The RS HQs and DoD news releases stated that the East Turkistan Islamic Movement (ETIM) was operating in the region and reportedly using some Taliban camps for training. "U.S. Forces Strike Taliban, East Turkestan Islamic Movement Training Sites", Defense Media Activity, February 7, 2018. "New U.S. air campaign expands to the North", Resolute Support Afghanistan, February 6, 2018. The researchers at Afghanistan Analysts Network (AAN) took a closer look at the RS HQs claims of ETIM operating in Badakhshan and find the RS HQs claims about ETIM activity are slightly exaggerated. 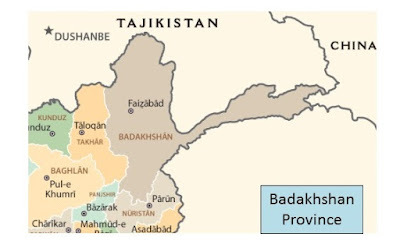 Read more in "Tilting at Windmills: Dubious US Claims of Targeting Chinese Uyghur Militants in Badakhshan", Afghanistan Analysts Network, March 19, 2018.